As a great dam project on the Yangtze River, Gezhouba dam will be a conveyance system for the 'Three Gorges Project' in the future. This project has elevated the water level of the river 100 meters from the Three Gorges Dam, by 20 meters and the sea-route has been largely improved. The Gezhouba Water Conservancy Project includes the barrage, the power plant, the ship brake, the flood discharge brake, and the fishway, etc. 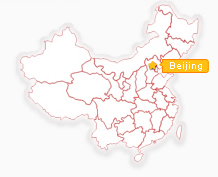 It is currently the largest hydropower station in China. The embankment is 2,561m long and 70m high, which controls a drainage area of 1,000,000km2 with total content of 1.58 billion steres. With 21 dynamos the hydropower station will generate 13.8 billion KWH a year. 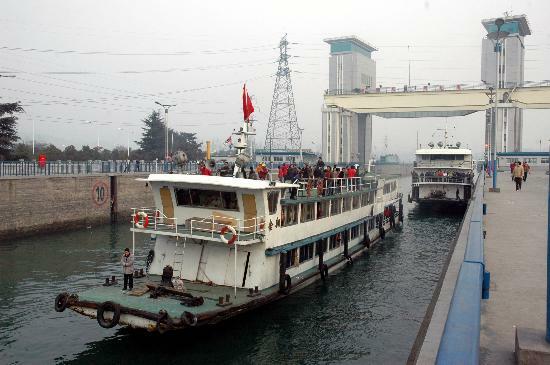 The No.3 ship lock is 18 meters in width and 120 meters in length, which allow passenger and cargo vessels and smaller ships of less than 3000 tons to pass. The No. 2 lock is 34 meters wide and 280 meters long and is able to accommodate ships over 10,000 tons. It takes about 50 minutes for a ship to go through the second lock, and most cruising lines offer observation time when the ship through it.